Who invented the Super Soaker? The name of the person credited with inventing the Super Soaker is Lonnie Johnson (1949 - Present). Lonnie Johnson is not only famous as the African American inventor of the Super Soaker but also as a designer, nuclear engineer and businessman. When was the Super Soaker invented? Lonnie Johnson invented the Super Soaker in 1982 and it was launched by Larami Toys in 1991 during the Technology and Information Age of inventions. The Super Soaker is one of Top 20 toys of all time. Definition of the Super Soaker: The Super Soaker is defined as a recreational water gun (toy) that utilizes manually-pressurized air to shoot water with greater power, range, and accuracy than conventional squirt pistols or water pistols. Who invented the Super Soaker? Fact 1: Who invented the Super Soaker? The Super Soaker was invented by Lonnie Johnson in 1982 and was introduced by Larami Toys in 1991 during the Technology and Information Age of inventions. Fact 2: Who invented the Super Soaker? Prior to the invention of the Super Soaker in 1982, kids played with trigger-based water pistols or squirt guns. The games were always a lot of fun but kids (and adults) were to go crazy, absolutely drenching each other, with the Super Soaker. Fact 3: Who invented the Super Soaker? The inventor of the Super Soaker, Lonnie Johnson, was born on October 6, 1949 in Mobile, Alabama, United States. He is married to Linda Moore Johnson the couple have four children. Fact 4: Who invented the Super Soaker? The early years of the African American Lonnie Johnson were spent in Mobile, Alabama, United States where he was raised by his family and grew up in a house full of brothers and sisters. His father was a civilian driver at a local Air Force base. Fact 5: Who invented the Super Soaker? Lonnie Johnson was an inquisitive child and loved asking his father how various things worked. He started repairing household objects at an early age. He was also great at building go-karts from odd pieces of scrap which earned him the nickname "the Professor" from the kids in the neighbourhood. Fact 6: Who invented the Super Soaker? Lonnie Johnson was educated at Williamson High School and was awarded an Air Force and math scholarship for Tuskegee University. He invented a 3½ foot robot called Linex which received first prize at the Alabama science fair. Fact 7: Who invented the Super Soaker? Lonnie Johnson worked hard at Tuskegee University earning a bachelor's degree in mechanical engineering in 1973 and then went on to graduate with a masters in nuclear engineering in 1975. Fact 8: Who invented the Super Soaker? Following his education Lonnie Johnson joined the U.S. Air Force and worked as an engineer at Oak Ridge National Laboratory, working on cooling systems for refrigerators, air conditioners and for nuclear reactors. His talents were appreciated and was assigned to the Strategic Air Command, where he helped develop the stealth bomber program and then on to the Savannah River National Laboratory, where he worked for the NASA space program as a systems engineer for the Galileo mission to Jupiter and the Cassini mission to Saturn. Fact 9: Who invented the Super Soaker? In his spare time Lonnie Johnson continued to tinker with his inventions. The invention of the Super Soaker was entirely made by accident when he was working on one of his long term projects on a heat pump. Fact 10: Who invented the Super Soaker? In 1982 Lonnie Johnson was attempting to make an environmentally friendly heat pump that used water instead of Freon. (Freon is the cooling agent used in most air conditioning and refrigeration systems). Fact 11: Who invented the Super Soaker? Lonnie Johnson decided to test his prototype of the pump in his bathroom. He attached his prototype of the pumping mechanism to the bathroom sink, aimed the nozzle into his bathtub, pulled the lever and was startled by the powerful water blast that shot across the room. Fact 12: Who invented the Super Soaker? Amazed and highly amused at the powerful water blast he had a 'Eureka' moment and came up with the idea for a making a water gun that would use compressed air to provide pressure for a water blast. His idea would develop into the invention of the Super Soaker. Fact 13: Who invented the Super Soaker? Lonnie Johnson began the development of his water gun to the delight of his kids. On October 14, 1983 he applied for a U.S. patent for his invention that he initially called the "Power Drencher". On May 27, 1986 he received patent number 4,591,071. Fact 14: Who invented the Super Soaker? Sure he was on to a winning invention, Lonnie Johnson wanted to manufacture the gun himself but he didn't have the $200,000 that a factory told him it would cost to produce the first 1000 water guns. Fact 15: Who invented the Super Soaker? Lonnie Johnson did not have the money to invest in his invention so he began a long journey trying to convince a toy company to go into partnership with him. It took him seven years to find a toy company who was interested. Fact 16: Who invented the Super Soaker? In February 1989 he was at the American International Toy Fair in New York when he met a guy called Al Davis, the vice president of the Larami toy company. Al Davis thought that the idea of a high performance water pistol was interesting but wasn't that enthusiastic about the product. Fact 17: Who invented the Super Soaker? Lonnie Johnson returned home and started work on a new prototype of the water gun. This model was constructed with a light weight plastic called plexiglass and had the additional feature of a water reservoir. The water gun built around a pump mechanism, which built up water pressure before the blast by pumping air directly into the water reservoir. As more air was pumped into the device it became more and more compressed and so applied greater pressure to the water inside. Fact 18: Who invented the Super Soaker? Lonnie Johnson left the Air Force to become an independent inventor working for himself. 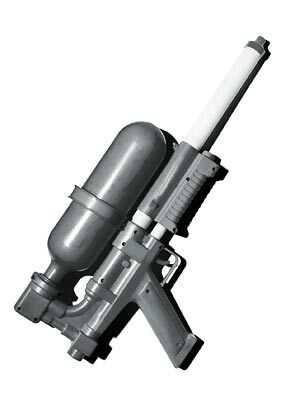 Lonnie Johnson contacted Al Davis and finally sold his device to the Larami Corporation who re-branded the "Power Drencher" as the "Super Soaker". Fact 19: Who invented the Super Soaker? The Larami Corporation, which put the "Super Soaker" into mass production became a massive success reaching sales worth $200 million in 1991. Fact 20: Who invented the Super Soaker? The "Super Soaker" became one of the Top 20 best selling toys in the world. Fact 22: Who invented the Super Soaker? In 2011, Lonnie Johnson was inducted into the State of Alabama Engineering Hall of Fame. Who Invented the Super Soaker - Lonnie Johnson - Inventor - Invention - Definition - Meaning - Famous - Important - Super Soaker History - Timeline - Innovation - Significant - Development - Toys and Games - First - Definition - Kids - Facts - Information - Info - Who invented the Super Soaker - Dates - When - Why - Impact - Purpose - Use - New - Old - Amazing - Best - Definition - Meaning - Awesome - Cool - Super Soaker - African American - Super Soaker History - Timeline - Who Invented the Super Soaker?